It looks like First 4 Figures' upcoming Mega Man 11 statue has had a facelift. An updated render of the statue's face was posted to First 4 Figures' Collector's Club at the end of December. Compared to the original version (shown left), the updated face is a bit longer with a flatter nose, wider mouth, and repositioned eyes. The body of the statue has yet to be seen. 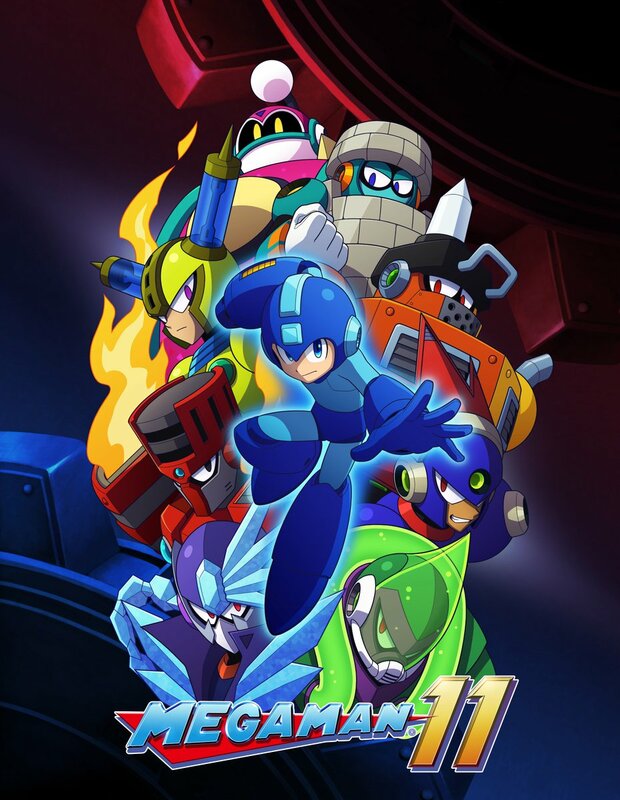 Based on the above images, however, it's assumed to be inspired by Mega Man's pose from Mega Man 11's box art. If that is indeed the case, I think they original version of the face is superior here. It does a better job capturing Mega Man's "battle ready" expression. Of course, there's nothing concrete to suggest that this will be the final face. First 4 Figures tend to make various adjustments based on fan-feedback. Take to the Collector's Page and sound off, if you'd be so inclined! I hear what you're saying about the render, but it may look different once it's made. The old one looks way more like his face in smash. I agree in that I think the old face is better. Something about the mouth and position of the eyes just looks a bit odd in the new one. Though as Will Brunner says, maybe it's cause the old one looks more like Smash, which is a design I love anyway. Preferring the old face at the moment, the newer one looks slightly too long for me. I love the First 4 Figures statues so much, they are so crazy on model, besides the Mega Man statues, so I'm glad they're making this ...its just to bad every statue they make is so expensive, but I really hope the rich people that buy these enjoy them! Good to see first four still can't figure out a mega man statue. Atleast this one doesn't have whiskers. Is it just me or does the second one look like he's biting his lower lip?